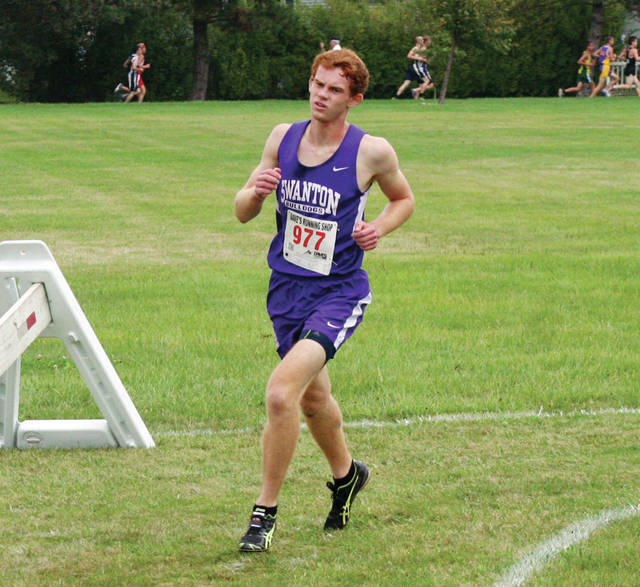 Brett Bettinger of Swanton turns a corner at the NWOAL Cross Country Championships in Wauseon last season. He returns for his senior season this year. Garrett Bradish of Swanton dashes to the finish at the league meet in 2017. He is back for the Bulldogs. 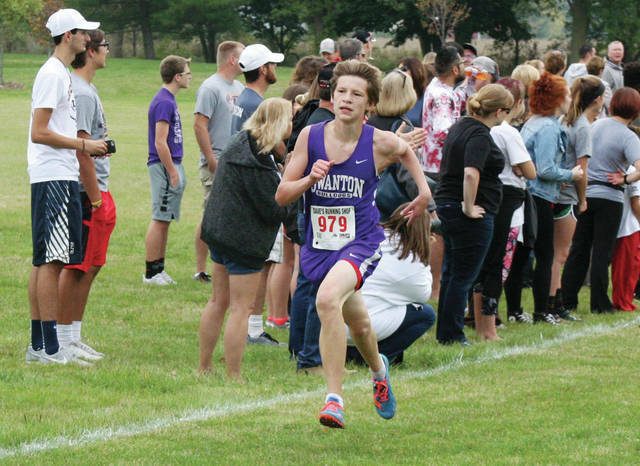 The Swanton boys cross country team has some quality runners returning who aim to make them more competitive in 2018. The Bulldogs’ most notable returnee is Brett Bettinger who was 12th at the Northwest Ohio Athletic League meet, then took fourth at a Division II district meet to qualify for the regional. “Brett has a chance to go to state and win leagues,” said head coach Andrew Carr of Bettinger. Coach Carr feels confident the senior can place high at the league meet this season. “Individually, Brett has a chance to finish in the top five for leagues,” he said. Other returnees for the boys are Garrett Bradish, Tyler Boyd, Trace Benson, Blake Szalapski and Tommy Chonko. Bradish placed 23rd at the district meet while Boyd took 26th. Joseph Sarvo is new to the squad. On the girls side, Briona Davis returns for the Bulldogs. Newcomers are Ashley Keaton and Alexandria Lamb. On their potential weaknesses, he points to the nature of the sport in general. “CC is a tough sport, physically and mentally,” said Carr. Swanton is at the Archbold Invitational Saturday morning.